Under Japanese Prime Minister Abe’s administration (from December, 2012), there has been a lot of momentum towards the utilization of coal as an energy source. In a governmental regulatory reform meeting in June 2013, it was reported that in order to boost the economy, environmental assessments for coal-fired thermal power plants became more straight-forward and conducted at a faster rate. Proposed power plants that would have taken 3 years to replace in the past, will now take only 1 year or so. The reason for this appears to be “that companies were having a difficulty in planning projects as the current environmental requirement to reduce CO2 is too stringent” and “as a result of that, it blocks new players that can provide a cheaper, more stable supply of energy from joining the market”. These concerns were raised because the Minister of the Environment had stated that construction of new coal-fired power plants will be problematic because of the restrictions on CO2 emissions in the environmental impact assessment, making it difficult to plan coal projects. Therefore, concerns were thrown out the window and the environmental assessment period was shortened and the process was simplified. 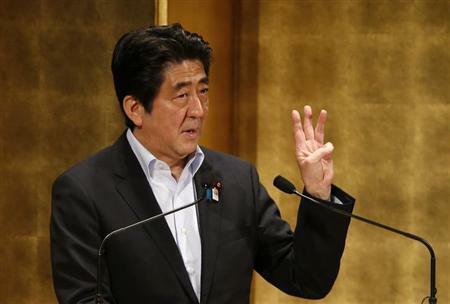 “Japan Revitalization Strategy” was announced in June 2013 as part of Prime Minister Abe’s broader ‘Abenomics’ program which was created to boost the Japanese economy. In this strategy, based on the regulatory reform proposal mentioned above, the government announced that they will promote the speeding up of the environmental assessment process in addition to making it more straight forward. This policy shortens the environmental impact assessment process from 3 years to just 1 year for coal-fired power plant replacements on the condition that it is in line with domestic GHG emission reduction targets and utilizes the best available technology (BAT). It also states that, “clean coal technology” for coal-fired power plants, such as advanced ultra-supercritical (A-USC) technology, integrated gasification combined cycle (IGCC) and integrated coal gasification fuel cell combined cycle (IGFC), will be commercialized in 10 to 20 years’ time. In addition, this strategy promotes the export of coal-fired power generation technology which, according to the proposal, will contribute to the economic development of developing countries as well as help reduce their greenhouse gas emissions. In other words, under the government’s current policies, it has become easier and faster to construct coal-fired power plants and “clean coal technology” will continue to be developed and exported. However, if coal-fired power plants, both in Japan and abroad, are easy to build, large amounts of CO2 will be emitted over a long period which will only accelerate the negative effects of climate change. This is a step in the wrong direction. We must set stricter environmental assessment standards and limit our “clean coal technology” exports to developing countries. In 2013, 2 new coal plants started operations in 2013: Hirono No. 6 (600 MW) in Fukushima prefecture and Hitachinaka No. 2 (1,000 MW) in Ibaraki prefecture. Unfortunately, there are more coal-fired power plants set to be put in operation in the coming years. Following the nuclear disaster in Fukushima, at the end of 2012 the government becomes more active in shifting towards coal-fired thermal power projects, pushing forward the construction plans of new coal-fired power plants. The government and utility companies are not only moving forward with plans to build additional coal-fired power plants but also plans to replace existing ones. This means that after 2020, new coal-fired power plants will be built one-by-one, operating until approximately 2060. This puts a significant burden on the environment and future generations. 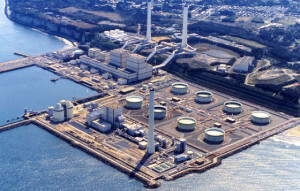 Chubu Electric Power Co., Inc., Nippon Steel & Sumitomo Metal Corporation and Electric Power Development Co., Ltd won the bid to construct a total of two new coal plants. It came to no surprise that both power plants set to be built by these companies will be coal-fired. By the end of December 2013, 2 new companies (Hitachinaka Generation and Kashima Power Company) had already been established. These power plants are expected to be online around 2019-2021 therefore they are not intended to fill the energy gap left by the current shutdown of nuclear power plants, but rather to provide us with energy for the future over a long period. TEPCO announced in December 2013 that they are considering to build 2 new coal-fired power plants (with a total output of 1000MW) in disaster-stricken Fukushima. Even with the utilization of state-of-the-art IGCC (integrated gasification combined cycle technology), emissions will only fall as much as 710g-CO2/kWh, approximately 30% short of EPA’s proposed standard of 500g-CO2/kWh. This 3 billion dollar project is projected to start operations by 2020 (read more). If these plans are set in motion, the year of 2020 could mark a huge rise in coal power. We must do what we can to avoid this. J-Power is planning to replace Takehara coal-fired power plant’s new No.1 unit (600 MW) in Hiroshima. Environmental impact assessments began in 2011 and have been moving at an exceptional pace. Because this is a replacement, the new rule by Prime Minster Abe for accelerating the environmental impact assessment process will be applied thereby moving forward the project at a much faster speed. (read more).